TheRustedChain - The Blog: Black Friday starts NOW! We hope you've had an absolutely wonderful Thanksgiving, with too much food, a warm house, some time with family and friends, and lots of laughing. And now... if you're sitting around, stuffed, happy and surfing the internet... our Black Friday deals start! 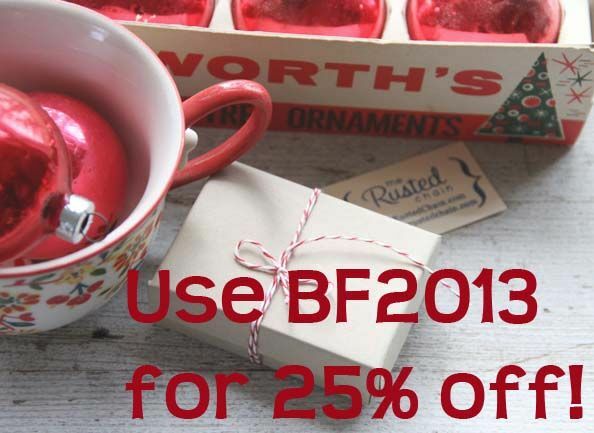 From now through Midnight Friday night, use code BF2013 and get 25% off! That's the biggest sale we ever run... it's HUGE. Think buy 3, get 1 free! 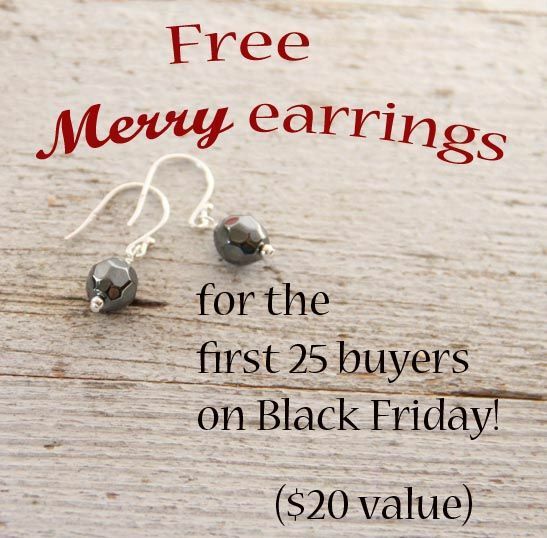 And if you're one of the first 25 shoppers, we'll drop a pair of these gorgeous Merry earrings in your package too!